I might be a little sporadic but you can bet your bottom dollar when there is a new Wavedash character announced I’m going to be dropping off something! 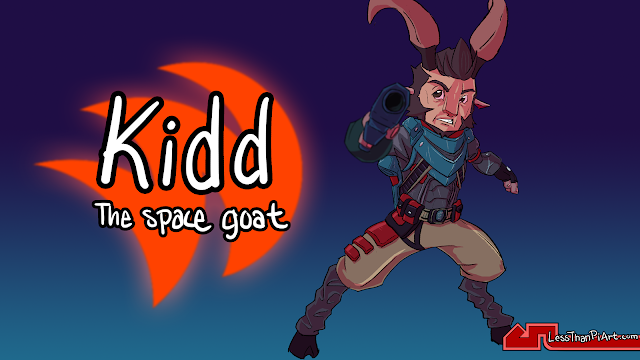 This time it is the space goat himself; Kidd! 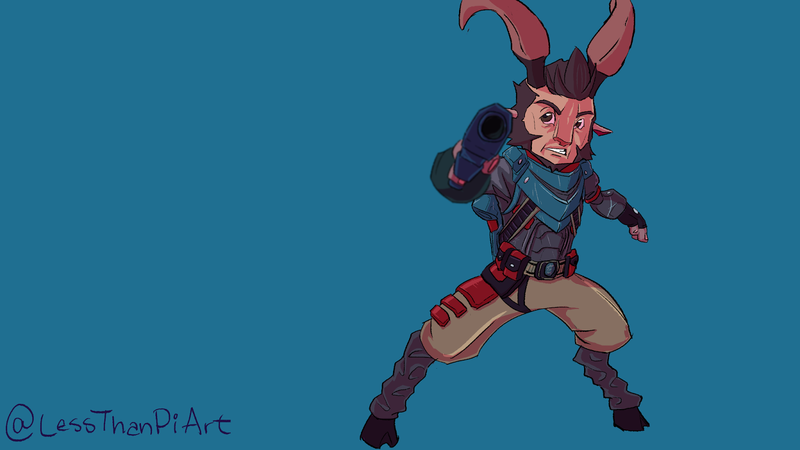 He is the first of the “space animal” archetype characters hinted at a few months back by Jason in his (almost) weekly game development vlogs on the Wavedash YouTube channel. Since Josh “Grumpymonkey” Singh’s introduction to the Wavedash team and with the additions of talented other Riot veterans like Kienan Lafferty and Iron Stylus the character designs are looking cleaner and much more iconic now. The art direction has turned from just okay to stellar in my opinion, but I'll admit I'm a little biased. Most long time readers will understand that my design senses was spawned out of the design choices these guys infused in to the characters they helped design for League of Legends; the understanding of material large, medium and small shapes; the importance of a unique silhouette; it all comes from studying their design process. So it's crazy to see them working on a game I know I would have been passionate about in the future. 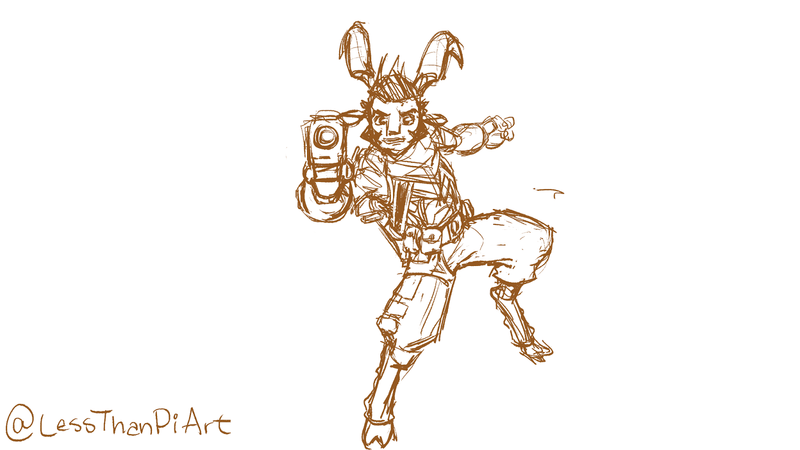 I’m genuinely excited to just be doing fan art! 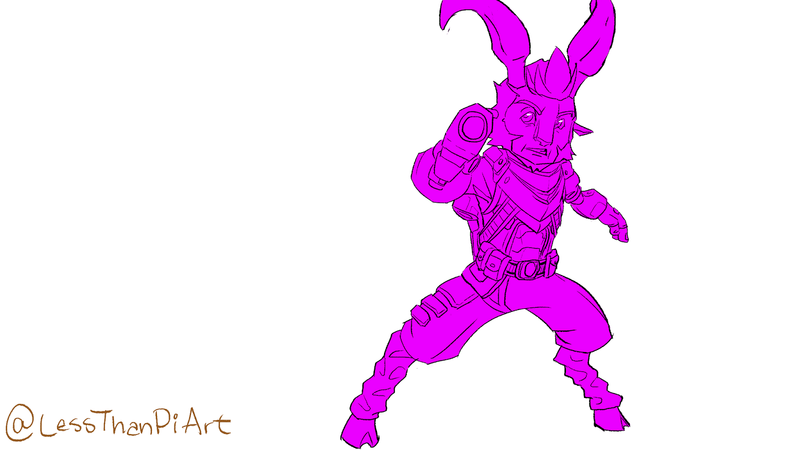 Now if you’d like to see some work in progress from this piece or links to these other talented artists I mentioned above continue reading. I started with a few thumbnails, but I didn't like how head on my it was so I turned the head and put the character on the ground. Unfortunately I don't have as much time as I'd like to work on these types of pieces anymore with my work schedule but I'm going to find the time somewhere! For know though definitely let me know what you think, and what you'd like to see more of. And as promised some contact info for the artist I mentioned earlier. definitely check out their work you'll be doing yourself a big favor. As always guys God bless, be safe. See you on the flip!